Investors in American Outdoor Brands Corp saw new options become available today, for the April 12th expiration. 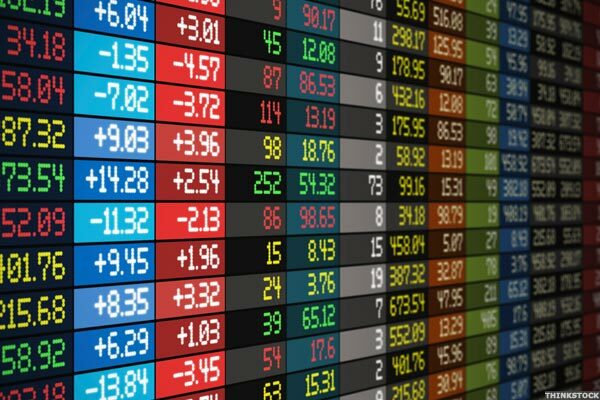 At Stock Options Channel, our YieldBoost formula has looked up and down the AOBC options chain for the new April 12th contracts and identified one put and one call contract of particular interest. In trading on Friday, shares of American Outdoor Brands Corp crossed above their 200 day moving average of $12.53, changing hands as high as $12.57 per share. American Outdoor Brands Corp shares are currently trading up about 1.7% on the day. Investors in American Outdoor Brands Corp saw new options begin trading today, for the March 22nd expiration. At Stock Options Channel, our YieldBoost formula has looked up and down the AOBC options chain for the new March 22nd contracts and identified one put and one call contract of particular interest. 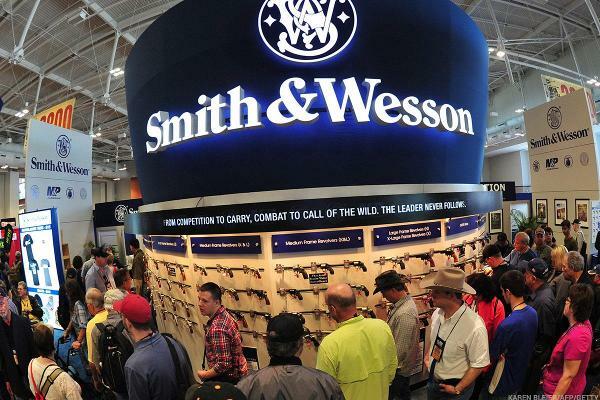 In trading on Thursday, shares of American Outdoor Brands Corp crossed below their 200 day moving average of $12.43, changing hands as low as $12.41 per share. American Outdoor Brands Corp shares are currently trading down about 2% on the day. Investors in American Outdoor Brands Corp saw new options begin trading today, for the February 22nd expiration. At Stock Options Channel, our YieldBoost formula has looked up and down the AOBC options chain for the new February 22nd contracts and identified one put and one call contract of particular interest. American Outdoor Brands gives investors every reason to buy up the stock following its earnings release. Investors in American Outdoor Brands Corp saw new options become available today, for the January 2019 expiration. At Stock Options Channel, our YieldBoost formula has looked up and down the AOBC options chain for the new January 2019 contracts and identified one put and one call contract of particular interest. Investors in American Outdoor Brands Corp saw new options become available today, for the December 28th expiration. At Stock Options Channel, our YieldBoost formula has looked up and down the AOBC options chain for the new December 28th contracts and identified one put and one call contract of particular interest. Investors in American Outdoor Brands Corp saw new options begin trading today, for the December 14th expiration. At Stock Options Channel, our YieldBoost formula has looked up and down the AOBC options chain for the new December 14th contracts and identified one put and one call contract of particular interest. In recent trading, shares of American Outdoor Brands Corp have crossed above the average analyst 12-month target price of $14.75, changing hands for $14.87/share. When a stock reaches the target an analyst has set, the analyst logically has two ways to react: downgrade on valuation, or, re-adjust their target price to a higher level. Investors in American Outdoor Brands Corp saw new options become available this week, for the January 2021 expiration. One of the key inputs that goes into the price an option buyer is willing to pay, is the time value, so with 850 days until expiration the newly available contracts represent a potential opportunity for sellers of puts or calls to achieve a higher premium than would be available for the contracts with a closer expiration. In recent trading, shares of American Outdoor Brands Corp have crossed above the average analyst 12-month target price of $15.08, changing hands for $15.38/share. When a stock reaches the target an analyst has set, the analyst logically has two ways to react: downgrade on valuation, or, re-adjust their target price to a higher level. Among the underlying components of the Russell 3000 index, we saw noteworthy options trading volume today in American Outdoor Brands Corp , where a total of 44,579 contracts have traded so far, representing approximately 4.5 million underlying shares. That amounts to about 523% of AOBC's average daily trading volume over the past month of 852,440 shares. Investors in American Outdoor Brands Corp saw new options become available today, for the October 5th expiration. At Stock Options Channel, our YieldBoost formula has looked up and down the AOBC options chain for the new October 5th contracts and identified one put and one call contract of particular interest. Investors in American Outdoor Brands Corp saw new options become available this week, for the October 19th expiration. At Stock Options Channel, our YieldBoost formula has looked up and down the AOBC options chain for the new October 19th contracts and identified one put and one call contract of particular interest. Investors in American Outdoor Brands Corp saw new options begin trading this week, for the March 2019 expiration. One of the key data points that goes into the price an option buyer is willing to pay, is the time value, so with 233 days until expiration the newly trading contracts represent a potential opportunity for sellers of puts or calls to achieve a higher premium than would be available for the contracts with a closer expiration. Investors in American Outdoor Brands Corp saw new options begin trading today, for the August 31st expiration. At Stock Options Channel, our YieldBoost formula has looked up and down the AOBC options chain for the new August 31st contracts and identified one put and one call contract of particular interest. Investors in American Outdoor Brands Corp saw new options become available today, for the August 24th expiration. At Stock Options Channel, our YieldBoost formula has looked up and down the AOBC options chain for the new August 24th contracts and identified one put and one call contract of particular interest.